SAN ANTONIO — Oct. 29, 2018 — A new, more powerful generation of a patented Southwest Research Institute magnetostrictive sensor withstands extreme temperatures, automatically adjusts frequencies and incorporates a stronger magnet. The compact magnetostrictive transducer (MsT™) more accurately detects potential problems in oil, gas and chemical industry metal and nonmetal structures such as pipelines, storage tanks and anchor rods. "The MsT system offers the next level of signal strength. This user-friendly technology more precisely locates structural issues," said Dr. Sergey Vinogradov, an SwRI staff engineer who led the initiative to improve the sensor. "It is an extremely reliable, state-of-the-art, durable sensor that you can install just about anywhere from subsea to open space." The MsT sensor can be permanently installed on a structure to provide ongoing monitoring. A battery-operated hub collects and wirelessly transmits data from the sensor and can connect to multiple sensors at once. The hub can be programmed to change the sensors' frequencies automatically to meet industry safety standards, which require a structure be tested using at least two frequencies. "The MsT is compact and easy to install, but it's also more convenient. With this improved sensor, the operator does not change hardware to change frequencies. And this function is automated, which reduces human error," Vinogradov said. "This feature is especially useful when the sensors need to be installed at multiple, hard-to-access locations daily." 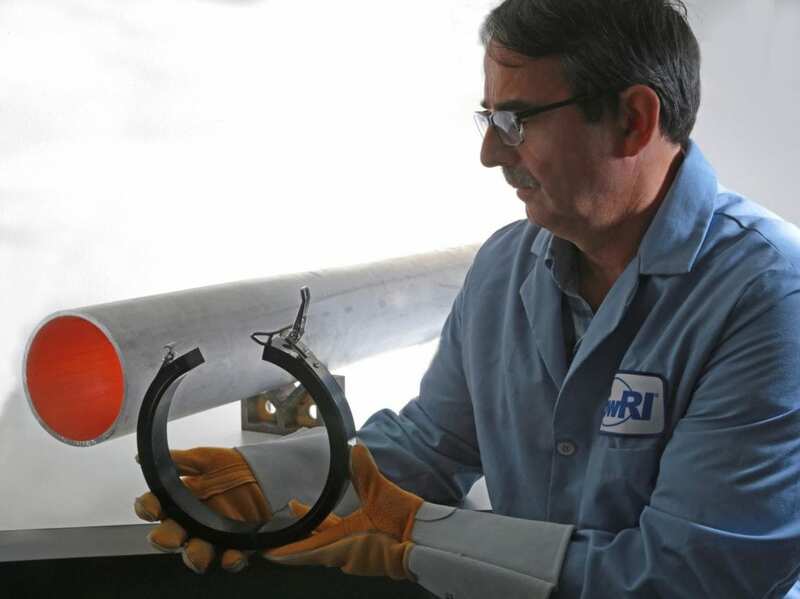 For more information on SwRI's nondestructive evaluation solutions, visit https://www.swri.org/industries/sensor-systems-nondestructive-evaluation-nde.